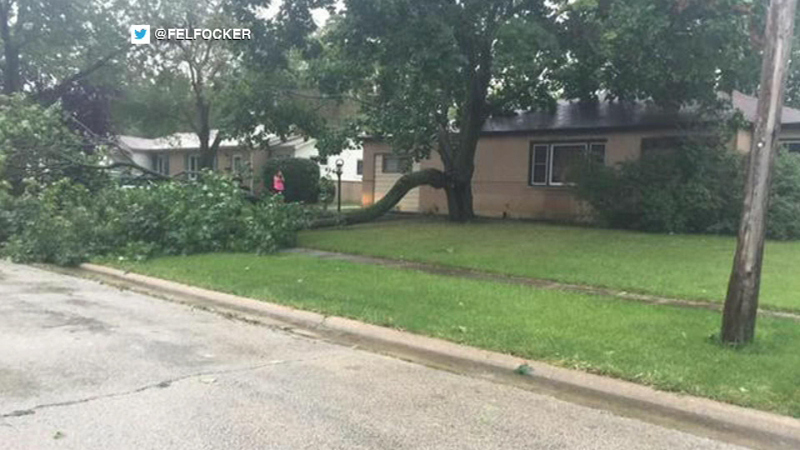 A line of quick-moving storms downed a tree in Hoffman Estates. CHICAGO (WLS) -- A line of quick-moving storms raced through the Chicago area on Thursday, and more are possible overnight. Gusty winds, heavy downpours and small hail were reported as the storms moved through the city and suburbs Thursday afternoon. High winds knocked tree limbs onto power lines near the intersection of State and Gilbert in Elgin. The winds also knocked down three light poles in Morton Grove, which blocked the entrance to a strip mall near Dempster and Harlem. At least one tree was knocked down in Hoffman Estates. ComEd said 12,000 customers were without power at the height of the storms Thursday, mostly in the northwest suburbs. As of 9:30 p.m., about 6,000 customers were still in the dark. ComEd said it hopes to restore power to all customers by 4 a.m. Friday. The entire Chicago area was under a "marginal" risk for severe weather Thursday, the National Weather Service said. 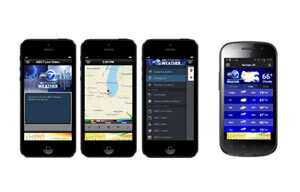 None of the storms in the Chicago area reached severe limits. More storms are expected overnight and on Friday.